Investing is great. Besides starting your own business, it is one of the best plans for growing your net worth and achieving financial freedom! But there are a few steps to take before you get started. If you don’t set yourself up for success by taking care of these items first, you’ll be setting yourself up for failure down the road. First things first. Unexpected expenses WILL happen. No matter how good you are at planning and preparing, something will happen sooner or later that wasn’t on your personal spending radar. I don’t mean “NFL is starting soon so I need a new TV” – I mean more along the lines of “the water heater just gave out and we need to replace it ASAP”. These expenses are generally not only unexpected, but they also are time-sensitive – they need to happen “now”. Without an adequate emergency fund in place many people will struggle to cover even a $400 non-budgeted expense. When thinking about investing, you need to think long-term. “Investing” for the short-term isn’t really investing – it’s speculating, which is basically gambling. There are any number of uncontrollable factors that can cause investments to go up or down short term, so any money committed to investing shouldn’t be needed for at least five years. Having a household budget allows you to understand exactly where all of your dollars are going each month. Hopefully you’ve trimmed expenses enough, and/or have good enough income, that each month you have significant “extra” cash flow after covering all of your expenses. The first thing to do with this extra cash is to build up your emergency fund as mentioned above. After that you should consider if you will have any large expenses coming up in less than five years: Will a new car be needed? Is a child’s college approaching? Might a child get married in the next few years? 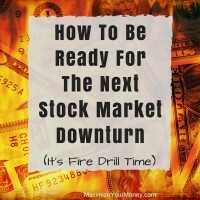 If there are events like these coming up then start putting aside money for them now – money that probably shouldn’t be invested in the stock market because of the “short” timeline. After you’ve determined any large upcoming expenses, and set aside enough money to cover them, now you can look at your monthly cash flow and determine how much money you want to invest. 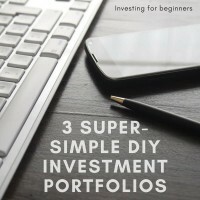 A very popular and productive investing technique is dollar-cost-averaging (DCA), which means you would be investing the same amount of money every single month (regardless of what the stock market is doing). If you plan to practice DCA investing, make sure you aren’t cutting your budget too thin. If you have exactly $700 each month “extra”, it might be a good idea to invest $500 rather than the full amount. Give yourself some wiggle room so you can be consistent every single month. The national average interest rate on credit card debt in early 2016 is just over 15%. Let that sink in for a moment. Carrying high-interest consumer debt is one of the largest barriers for people who are trying to grow their wealth and achieve financial freedom. Paying off a debt is similar to getting an immediate known gain comparable to the rate paid. If you have a $1,000 balance at 15% interest, you’ll pay $150 this year in interest payments. Paying that off to save the $150 is almost like getting a 15% investment return! If you want to get specific, the comparable gain is actually higher because it probably takes about $200 worth of income (pre-tax) to pay the $150 of interest. There are never any “sure things” in investing, but paying off consumer debt is a “sure thing” because you know exactly how much you’ll save. Knock out these easy things before putting your first dollar into an investment account. If you haven’t yet read our post on why net worth is the best measure of financial fitness, you should definitely check that out. There are a lot of people who earn really high incomes yet spend almost every dollar they earn (sometimes even spending more than they earn). So income of course isn’t the best measure of financial success. But net worth – essentially the fiscal value of your household – is a great measurement. Go figure out what this is now, and also check it a couple of times per year. 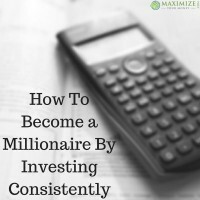 This is the number you need to start paying attention to when you are working toward building wealth. Managing cash flow (budgeting) is all about balancing priorities – you’re taking limited resources and allocated them to the areas that are most important to you. This exercise is key for your overall financial planning too. If you spend time thinking about it (and honestly many people haven’t) you likely have one big top priority. Some people can quickly tell you what their driving dream is, but many people need to spend some time on this. Understanding what is really important to you can have a huge impact on planning all parts of your life and the actions you take when presented with different options. Here is an article with a couple specific questions to help walk you through the process of clarifying what is really important to you in life, and then what the goals and priorities need to be to align with that life-guiding vision. I highly recommend that everyone read that article. It isn’t too long but has been known to have profound impact on individual’s thinking about their life. No one should invest in something they don’t understand. 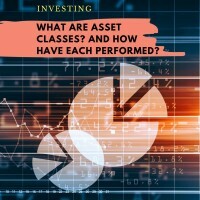 Along that same line of thinking, that means that you should have a basic understanding of general investing concepts. You should know what exactly is a stock, and what is a bond? You should understand the concept of diversification (don’t put all your eggs in one basket). Understand mutual funds, and ETFs, and the difference between them. Make sure you are comfortable with the idea of volatility (fluctuations) and your level of risk tolerance. 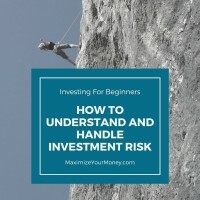 Jumping into investing with no idea of what you are doing is very dangerous. 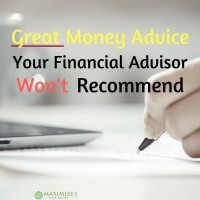 Even if you decide to use an investment advisor, you should make sure you understand what they are recommending for you. If something isn’t clear to you, just ask. A good financial advisor or planner is going to take the time to educate you to make sure you are comfortable with the suggestions. This was some really good advice on managing cash flow. I have always struggled with sticking to a budget. I think most of us do Danny. It’s challenging, but worth it! Thanks for stopping by! 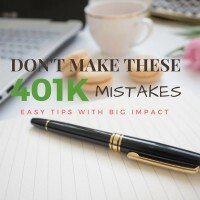 I have started doing everyone one of these in the last year and it’s changed my financial life. We are way more laser focused now and ready to hit our FI goal and just be able to live more enjoyable lives. Great tips. That’s great to hear Jeff!